Our specialty is jewelry boxes. 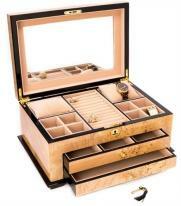 Shop quality jewelry boxes, chests, watch cases and jewelry armoires by the best jewelry box brands. Enjoy easy 30 day returns and product warranties. 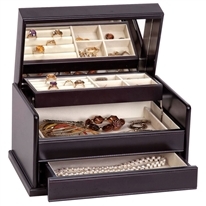 All jewelry boxes qualify for easy 30 day returns and 1 year product warranty. Personalized Jewelry Boxes - or - Add an Engraved Nameplate to any of our items!